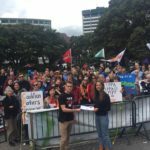 ‘Trust me’ doesn’t wash: 26,000 calls for Groser to release the TPPA text! A short campaign to highlight the secrecy of the Trans Pacific Partnership Agreement has resulted in 26,000 signatures on an e-petition or letters to political leaders, calling for release of the draft text under the catchcry ‘it’s not democracy, and it’s not right’. 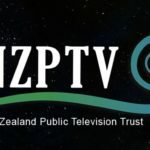 The response reinforces a ConsumerLink survey conducted last December when the TPPA negotiations were held in Auckland, where 65% of those polled opposed keeping the text secret until it was signed, with only 14% in favour. The call for an end to secrecy will be discussed at a press conference of political parties that have expressed concern with aspects of the TPPA negotiations, to be held tomorrow (Wednesday) from 1-1.40pm in the National Library. Release of the e-petition results coincides with a meeting of TPPA ministers in Singapore from 7 to 10 December, and adds impetus to objections from many other countries to a previous decision not to release the text until it is signed. In other words, the government will not reveal what it proposes to give away until the deal is done. People can only see this once it’s too late to change. No democracy, no public consultation, just ‘trust me’. 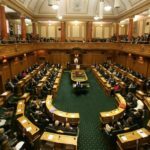 Such contempt for democracy spurred a number of development, environmental and Maori organisations and unions to sponsor the online petition and letter writing campaign to demand the release of the draft TPPA text. ‘It is imperative that we see the draft text of the agreement before it is a done deal. This veil of secrecy is no way to conduct such an invasive agreement,’ she said.